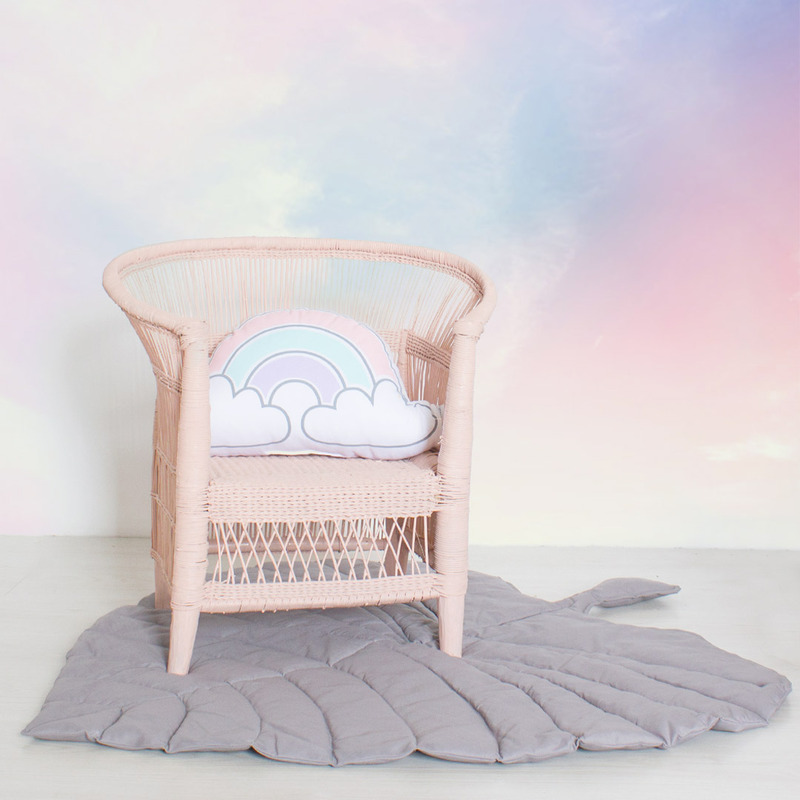 The dreamy Metallic Rainbow Cloud Scatter by Squiggle & Squeak is guaranteed to produce smiles aplenty with its shiny rainbow. 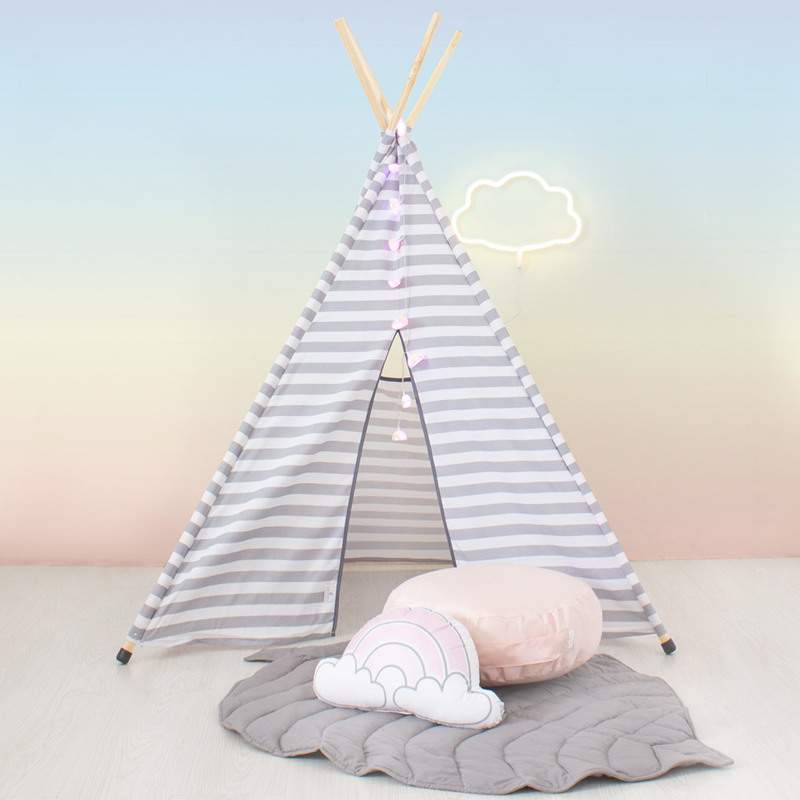 The scatter doubles up as a plush toy and features a metallic rainbow in pastel hues connected by two fluffy white clouds between grey lines. This gorgeous scatter is handmade in Cape Town using the finest quality cotton fabric and screen printed with eco-friendly inks. 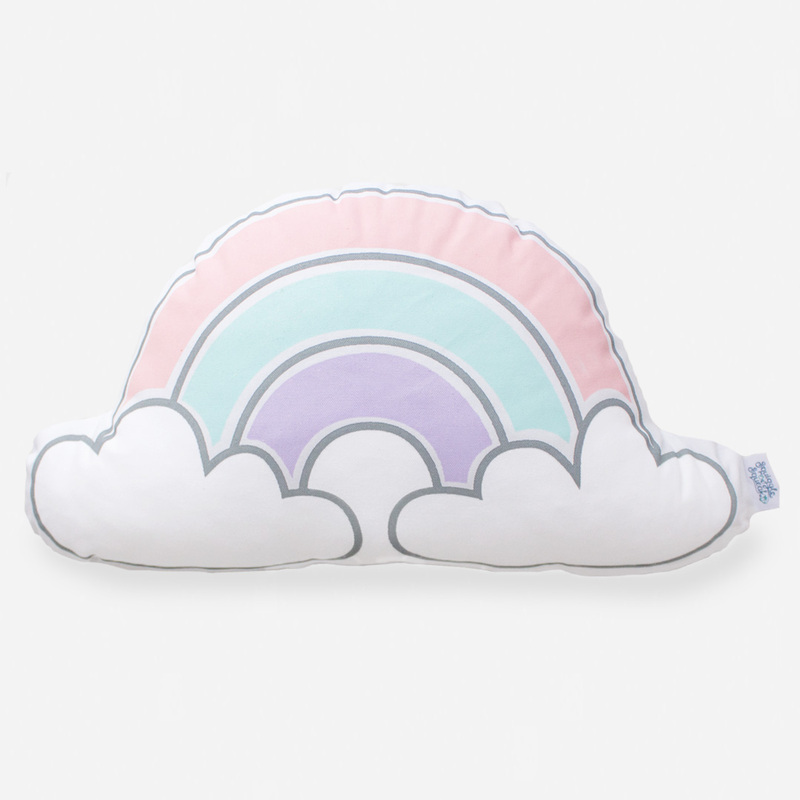 The machine-washable cloud pillow is made of 100% cotton white twill fabric. The inner (included) is stuffed with anti microbial mini re-puffable balls which is the best for any allergy sufferer, safe for kids and it won’t compact over time from all the hugs!